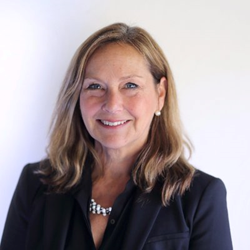 Former Xerox executive Julie Dorey joins Aragon Research to help deliver the next level of revenue growth. Julie Dorey joins Aragon Research as Vice President of Americas Sales. Prior to joining Aragon Research, Dorey spent 35 years at Xerox in a variety of executive, client-facing roles. Aragon Research, a technology-focused research and advisory firm committed to providing thought leading visual research and trusted advisory services, announced that seasoned Xerox executive Julie Dorey will be joining its team as Vice President of Americas Sales. At Aragon, Dorey will lead the sales team in strategically developing new opportunities, building strong customer relationships, and continuing the company’s growth, specifically in the company’s Eastern Region. Prior to joining Aragon Research, Dorey spent 35 years at Xerox in a variety of executive, client-facing roles. Dorey led the highly successful Global Account Operations Pursuit Team, focusing on the top tier of the financial services industry. She also led the High Tech Team, managed the Global Services Insurance Industry, and spent several years running the vertical Retail and Consumer Products teams. During her Xerox tenure, she was recognized with highest honors for her top performance and ability to bring new clients and business to the company. Dorey’s depth of industry experience will be key in growing Aragon’s presence as the company continues to provide business and IT leaders with quality, actionable, ahead-of-the-market advisory. Aragon Research is the newest technology research and advisory firm. Aragon delivers high impact visual research, consulting, and advisory services to provide enterprises the insight they need to make better technology and strategy decisions. Aragon Research serves business and IT leaders and has a proven team of veteran analysts. For more information, visit https://www.aragonresearch.com/.